Our research is focused on transformational MRI evaluation of oxidative stress in vivo to determine how and when antioxidant treatment efficacy is best achieved during emerging neurodegeneration. Berkowitz BA, Lenning J, Khetarpal N, Tran C, Wu JY, Berri AM, Dernay K, Haacke EM, Shafie-Khorassani F, Podolsky RH, Gant JC, Maimaiti S, Thibault O, Murphy GG, Bennett BM, Roberts R. In vivo imaging of prodromal hippocampus CA1 subfield oxidative stress in models of Alzheimer disease and Angelman syndrome. FASEB J. 2017 Jun 7;PubMed PMID: 28592637. Berkowitz BA, Podolsky RH, Lenning J, Khetarpal N, Tran C, Wu JY, Berri AM, Dernay K, Shafie-Khorassani F, Roberts R. Sodium Iodate Produces a Strain-Dependent Retinal Oxidative Stress Response Measured In Vivo Using QUEST MRI. Invest Ophthalmol Vis Sci. 2017 Jun 1;58(7):3286-3293. PubMed PMID: 28666279; PubMed Central PMCID: PMC5493331. Berkowitz BA, Lewin AS, Biswal MR, Bredell BX, Davis C, Roberts R. MRI of Retinal Free Radical Production With Laminar Resolution In Vivo. Invest Ophthalmol Vis Sci. 2016 Feb;57(2):577-85. PubMed PMID: 26886890; PubMed Central PMCID: PMC4771178. Berkowitz BA, Bredell BX, Davis C, Samardzija M, Grimm C, Roberts R. Measuring In Vivo Free Radical Production by the Outer Retina. Invest Ophthalmol Vis Sci. 2015 Dec;56(13):7931-8. PubMed PMID: 26670830; PubMed Central PMCID: PMC4682605. Scholars in Vision Science, University of Pittsburgh School of Medicine, 2009. Inaugural Class Of ARVO Fellows; Silver level, 2009. 3. Awarded the 2008/9 NeuroImage Editors' choice award (Anatomy and Physiology section) for best paper of the year. Invited speaker, Vanderbilt Eye Institute symposium " Biomarkers and Eye Disease”, 2010. Member of steering committee, Translational Neuroscience Program, 2011 – 2013. Invited participate, Lasker/IRRF Initiative on Diabetic Retinopathy, 2012. 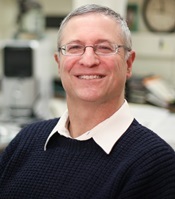 Member of the Microscopy, Imaging and Cytometry Resources Advisory Committee, Karmanos Cancer Institute, 2012 – present. Invited to be on Editorial Board of Investigational Ophthalmology and Visual Science, 2012 – present. National Medical Research Council international expert panel, Ministry of Health, Singapore, 2012 – 2014. Invited speaker, Association for Research in Otolaryngology 36th Annual MidWinter Meeting, 2013. Invited tutorial speaker for the 3rd International Summer School on Biomedical Image Analysis, 22-27 July 2013 in Shenyang, China. Invited speaker, "Imaging and Neuroscience of TBI", WSU BME, 2013. ARVO Fellow; Gold level, 2013. Invited symposium speaker, 25th anniversary of Laboratory of Cardiac Energetics, NIH, 2014. Continuously funded since 1992. More than 120 publications in peer reviewed journals.